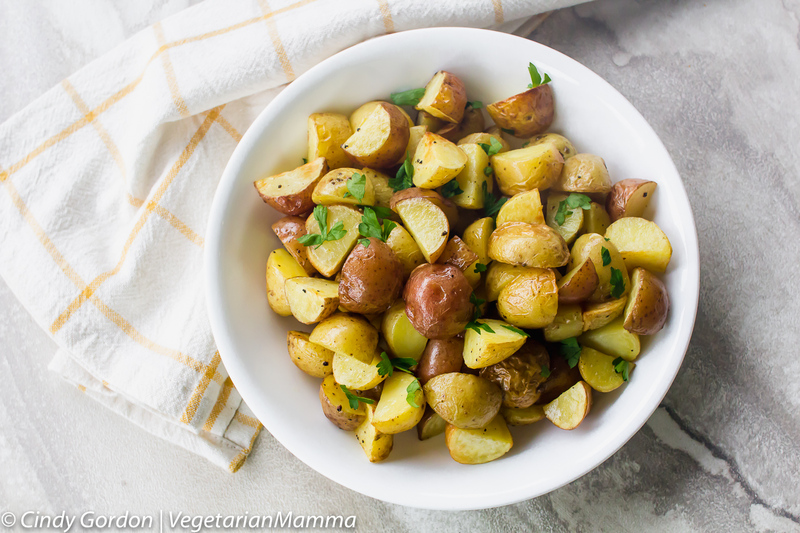 Air Fryer Roasted Potatoes will complement any holiday or weeknight dinner. 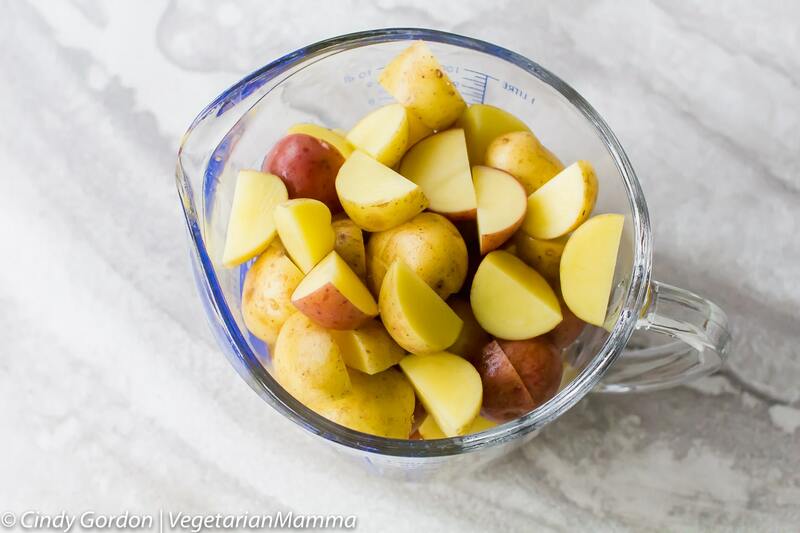 These air fryer potatoes will be one of the best air fryer recipes that you’ll find! This dish can easily be made for holiday dinners or your weeknight family dinners! When it comes to the holidays, the amazing thing is that you can make these potatoes in a flash! You don’t have to take up stove or oven space for them either! Air Fryers, do not take much room on the counter! Potatoes are actually native to South America. They debuted here in North America in the 19th century. It seems that potatoes arrived to Canada and the United States via Irish immigrants. Potatoes are pretty popular because they can survive various climates, they give pretty high yields of crops and they store for extended lengths! It is said that today they are one of the most popular vegetables in the world! 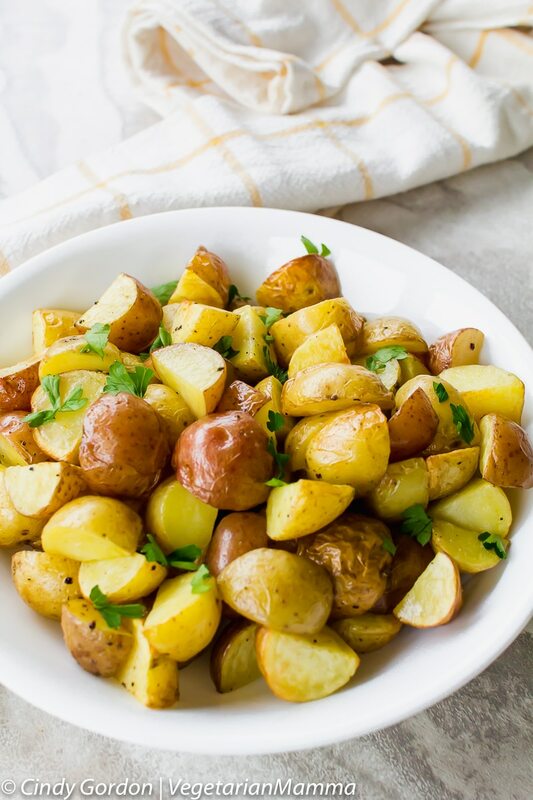 Serious Eats reports that there are roughly 4,000 different varieties of potatoes in the world. That is a hard fact to wrap my brain around! That is a lot of potatoes! 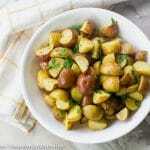 Potatoes are a starchy vegetable that belong to the nightshade family. Other nightshades include: eggplant, tomato and pepper. There are many varieties of potatoes. 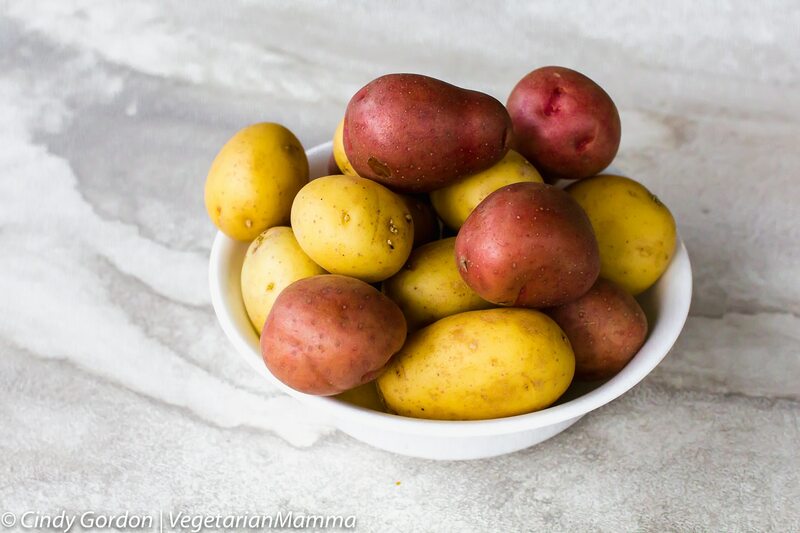 You can source Russet Potatoes, White Potatoes, Yukon Potatoes, Blue and Purple Potatoes, Red Potatoes, New Potatoes, Fingerlings and Sweet Potatoes. Do you have a favorite type of potato? If so drop me a comment below and let me know! I am curious! When selecting potatoes, be sure to select one that is firm and free of soft spots or blemishes. Oh, and you don’t want a potato with sprouts. Potatoes, should be stored in a cool dark place with good airflow. So we are talking about 40-50 degrees Fahrenheit. If your potatoes start to develop any green areas or begin to grow sprouts you need to cut/trim those off before cooking. WHAT CAN YOU ACTUALLY COOK IN AN AIR FRYER? The options of what you can cook in this amazing appliance are truly endless! 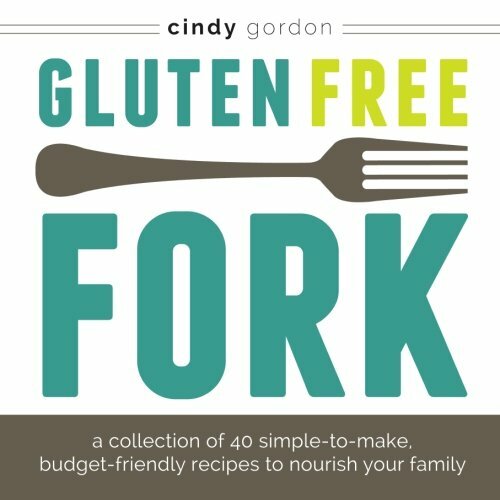 You know I’m crazy over this fried green beans recipe, but we’ve also cooked tofu, potatoes, french fries, Brussel sprouts and more! Anything that your taste buds want to try straight out of the air fryer, give it a go! 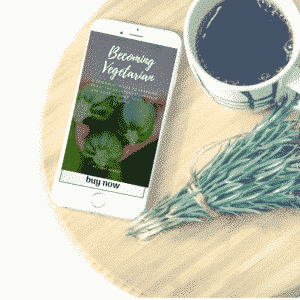 While we don’t eat meat in our family, that doesn’t mean that you can’t cook up some fried chicken, chicken tenders, or anything else beer battered or deep fried to that perfect golden brown that you love and that you want with ease in the air fryer basket. 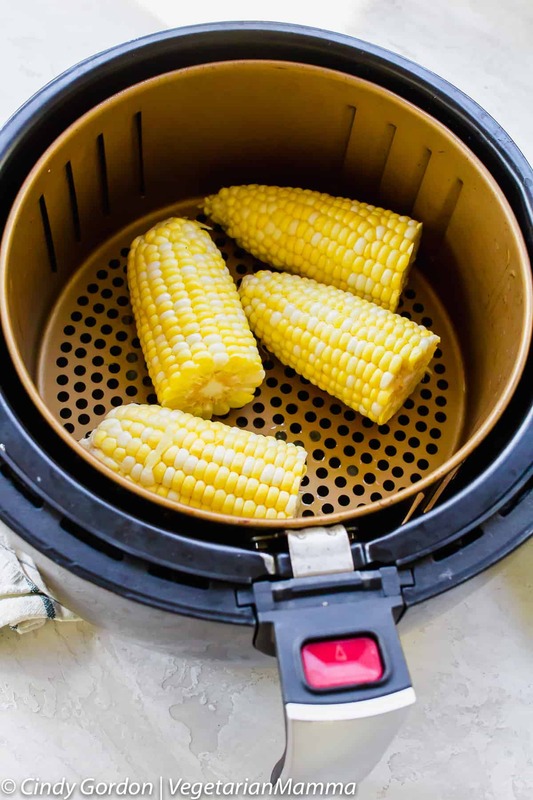 The great part about cooking with an air fryer? The cook time is a breeze. Like literally no time…at all. I have been experimenting with all types of food and some beautiful green tomatoes caught my eye at our local market. I just had to try them in the power air fryer! 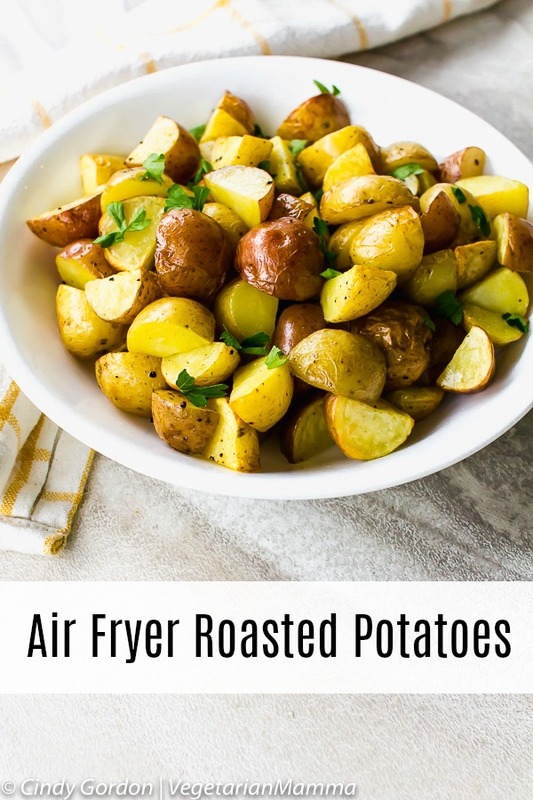 For us, we love to use our Power AirFryer XL (affiliate ad link) I know, you are probably wondering: how to roast potatoes in the air fryer? I get it, it seems a little crazy but we will get to that! HOW EASY IS IT TO USE THE AIR FRYER? When I say it’s super simple, it’s simple. You literally set the temp, figure out the time, and wait for that food to be done. Is there any other appliance out there that is as simple as that? And clean-up? A total breeze. If appliances were made to help you out in the kitchen and save you time, this power air fryer xl does just that. You’ll be working in the kitchen so much less with the use of this appliance! I’ve owned my air fryer now for a while, and I have to be honest…I’ve yet to find a recipe that I don’t love. And did I mention how simple it is? To say I’m a creature of habit is an understatement. I love being able to cook a meal and know with confidence that it’s going to taste amazing each and every time. With the Air Fryer, I absolutely have no doubts. I know that from the moment I press start, to the moment that I remove the food from the machine, it will be cooked to perfection each and every time. 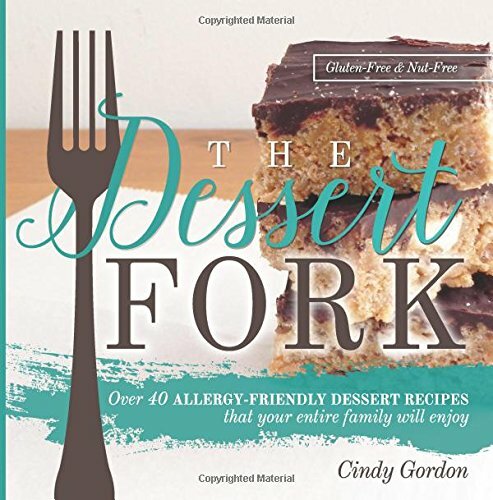 All of the recipes above are power air fryer XL recipes! I made them all in that oil less fryer! 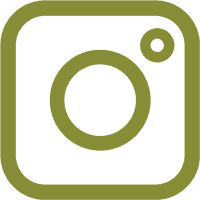 If you are looking for the best air fryer or air fryer reviews, you can check out this post. Or if you like this one better! 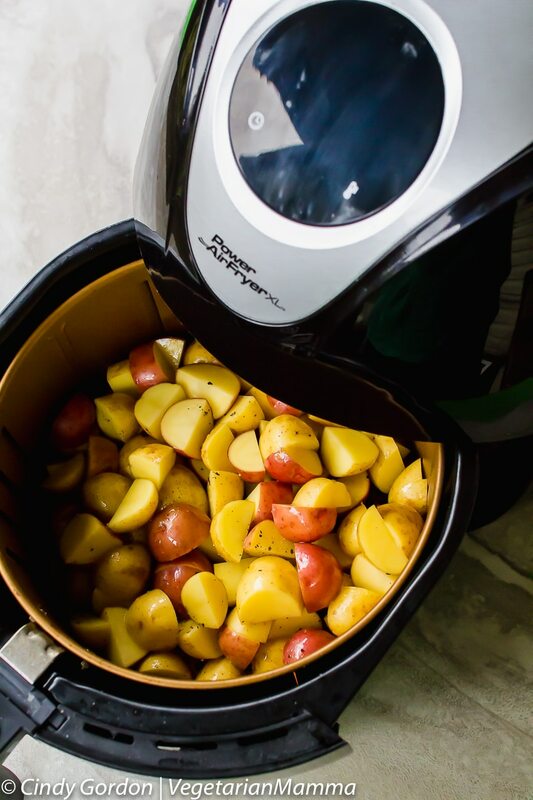 Let’s check out this air fryer potato recipe! Dice your potatoes into cubes. See picture above for size reference. Place potato cubes into air fryer. Cook at 450 degrees F for 15 minutes. Share every 4 minutes to keep potatoes from sticking. ENJOY! Salt and Pepper to Season and you can garnish with diced parsley. Do you have a favorite type of potato? I have been looking at purchasing an air fryer..is it really that good and useful? Would love some insights. Love the idea of using the air fryer on these!!! Look great! I have an air fryer and love it. I “fry” a lot of chicken in it. 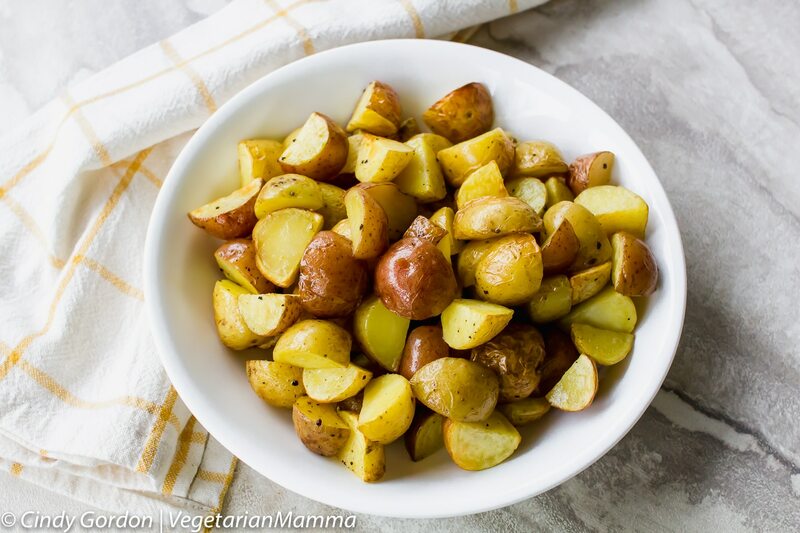 These potatoes look perfectly cooked and delicious! I’ve heard that chicken is amazing in the air fryer! Hope that you enjoy the potatoes! My favourite potatoes in Australia (where I am from) are called washed potatoes. They are white and you can cook them and eat them straight away. Thank-you for showing me a way to do these in the air fryer, I will give them a go this weekend. YUM! Oh I need to look up the washed potatoes! 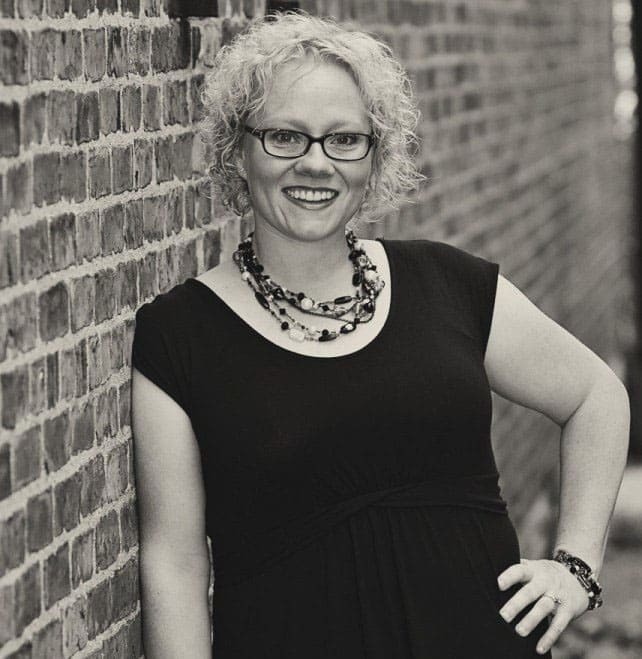 Thank you for sharing, I always love to research and learn more! Hope that you enjoy. These look perfectly crispy and seasoned! Looks like I need to dig out my air fryer again! So delicious! Dust off that air fryer! Looks very tasty! Absorbs a lot of fat during cooking? Yes, it does absorb some of the oil while cooking 🙂 So delicious! I am DYING for an air fryer! It’s high up on my wish list. I love potatoes in all shapes and forms, and air frying them is SO much healthier (and less messy) than deep frying. Such a great invention! I am a HUGE potato fan too! Okay, your blog is totally selling me on this air fryer business! I definitely need one of these in my life!! Yes, for sure. It is a great kitchen tool! I don’t have an air fryer but now I must check into purchasing one! The potatoes look great. 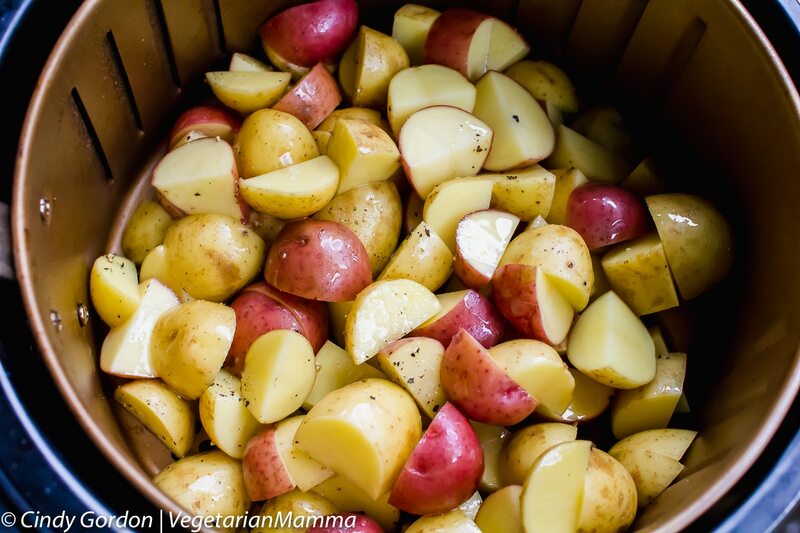 I love all types of potatoes and roast them often in the oven or steam in my pressure pot. I’m loving my Air Fryer!!!! I have not made this dish yet… but i’m so going to try this next!!! YUM! I have never used an air fryer, but my husband and I want one so bad! these look amazing! It was a great addition to our kitchen! I continue to hear so much about air fryers, I need to get one asap. 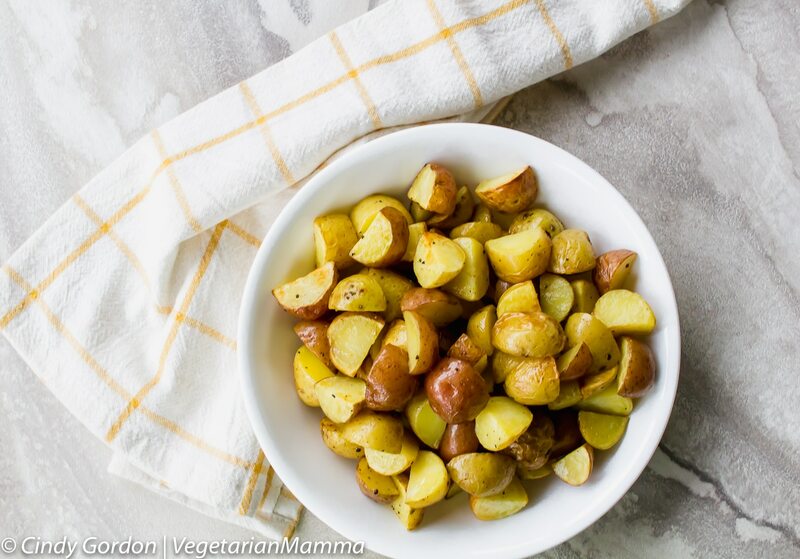 These potatoes look and sound delicious!